If your pet is scratching at fleas so vigorously that her hair is falling out, there are some things you can do to help her grow back her beautiful coat. The first thing you want to do is make sure you get rid of all the fleas so she stops scratching. With the right diet, grooming and flea prevention, you can help your pet grow her fur back. Get rid of the fleas. Use a preventative medicine such as the kind you put on the back of the neck that keeps fleas and ticks off your pet for a month. These typically take 24 hours until all the fleas are gone. Groom your pet every day. Use pet combs or brushes to get rid of bacteria in the hair follicles and skin. Feed your pet food that is nutritious, yet lean. Find a food with plenty of vitamins and minerals. This will help fur grow back. Supplement your pet's diet with an Omega-3 vitamin that is especially made for pets and growing back fur. You can find this at a pet store. 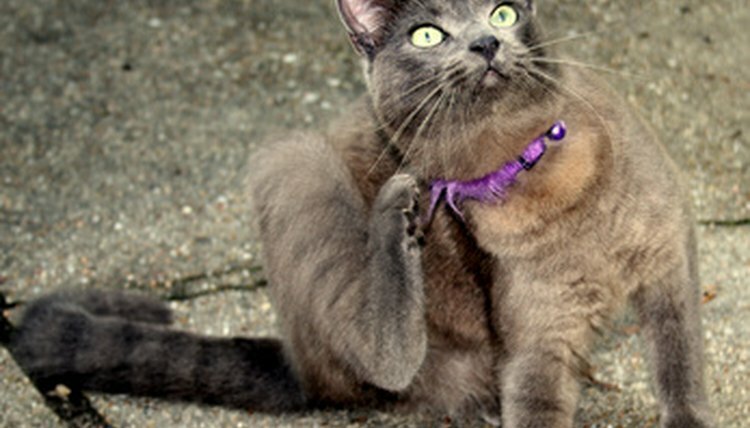 Keep using the flea preventative every month to ensure your pet doesn't get fleas again.